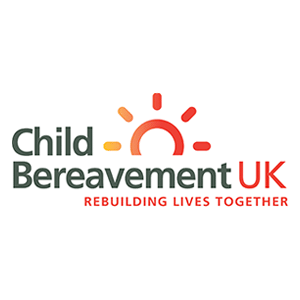 We are proud to be working in partnership with Child Bereavement UK, promoting and funding bereavement training within schools and to healthcare professionals. To date we have currently funded training for 42 schools across Warwickshire which equates to around 650 children every year benefiting from the training that we have offered, which is a phenomenal amount of children. However, this is just a drop in the ocean in comparison to all the children that we would like to help. In addition, we have also funded bereavement training for 170 healthcare professionals. This is something that we are really proud of, as it is so important to improve the quality of care that bereaved families are receiving in the most difficult time of their lives. Our vision is for all families to have the support they need to rebuild their lives. For us to continue to fund this invaluable training we really do need your help!! We are thrilled to be working in partnership with MDD First Aid to deliver paediatric first aid awareness courses. MDD First Aid are a local first aid company that provide fully certified first aid courses delivered by healthcare professionals. We feel that their course delivery is fantastic and enthusiastic and gives families the skills to save a life! The courses that we deliver with MDD First Aid are 3 hours long and cover the main areas of first aid: CPR, Choking, Burns, Bleeds and common childhood illnesses. We provide these courses for free, however we do ask for donations towards the charity to help us to continue achieving our aims.